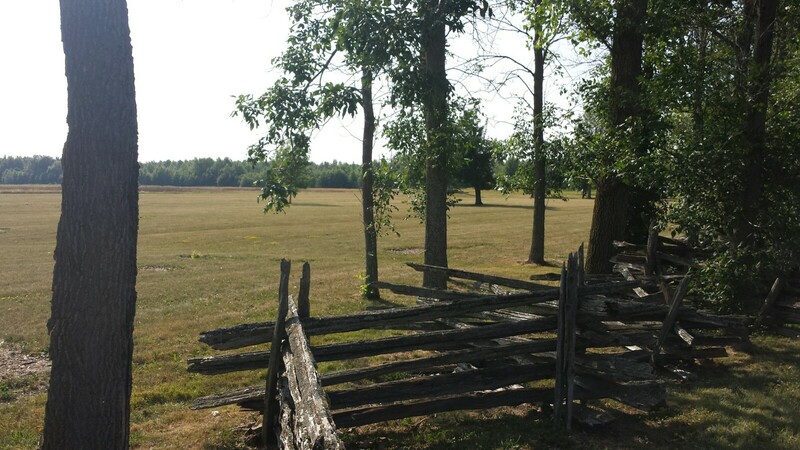 The Battle of Chippawa was small in terms of the number of regiments. The main fight on the "plain" was between three regular infantry battalions and an artillery battery on each side. In the woods, militia, volunteers and Native Americans fought out a very different battle. To me that is what makes it tactically intriguing. It is easily imagined, easily understood because it is a smaller "playing field." There are regulars facing off, the power of artillery and a deadly game of hide-and-seek in the woods. Nice report Mark. Thanks for sharing it. It looks like they updated the maps/display tables since I was last there about five years ago. A very long time ago I attended a re-enactment. That really brought the battlefield to life. I think Parks Canada still shows the dates that these will happen. So I highly recommend anyone who plans on visiting any battlefields in Canada to see if they can attend on a day with the re-enactment taking place. Our club photographer got an amazing shot which I used for a letterhead for our group for a long time.